Collegium Civitas (CC), Warsaw, Poland in cooperation with West Virginia University (WVU), United States are pleased to announce the launch of the new double degree Master’s studies in the field of International History and Security Studies. The double degree program starts in October 2018 at Collegium Civitas, where the students will spend two semesters participating in an intensive course of studies with topics ranging from international relations with special focus on Central and Eastern Europe, European Union policies, issues related to terrorism, energy security to sustainable development. The students will also get the unique opportunity to learn more about the history of World War II combined with possibilities to visit historical sites. At West Virginia University the students will spend two semesters exploring international history, with possible elective courses in ethics in global politics, history of intelligence, foreign policy, history of dictatorships and democratization, human rights, international law and environmental challenges. Graduating students will receive two M.A. degrees: an M.A. in History from WVU and an M.A in International Relations from CC. 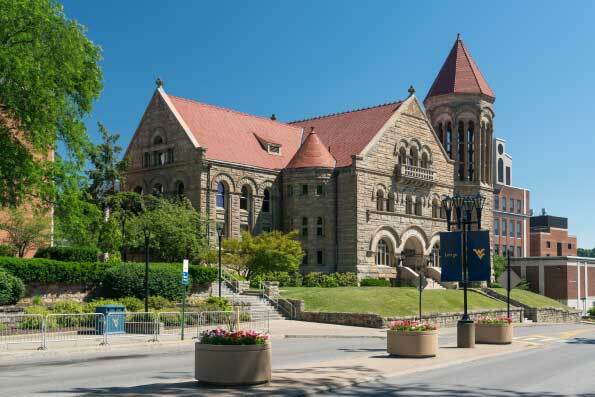 WVU and CC students pay tuition and administrative fees at their home institution while they study abroad and incur no additional payments to the host university. WVU and CC students are responsible for their travel, insurance, living expenses and special costs (e.g. course material costs) for the program. The full program (curriculum) will be announced early 2018. Please, kindly note that the number of places is limited. We strongly encourage the candidates to submit their applications as soon as possible. The call for applications will be open on February, 5 2018. With us you will have the possibility to discover a myriad of learning opportunities, both in Poland and in the U.S. with the best lecturers – academics and professionals in your field of studies.